The Mandela Rhodes Scholarships aim to help in building leadership excellence in Africa. A Mandela Rhodes Scholarship is more than a bursary, though the costs of Scholars are generously covered during their period of study. The Mandela Rhodes Foundation offers young Africans who exhibit academic prowess as well as broader leadership potential an educational opportunity unique on the continent. While pursuing their chosen post-graduate degree, each Scholar benefits from access to leadership development programmes, rooted in the principles underpinning the Foundation. In addition to the opportunity to interact with a diverse group of fellow-Scholars that spans the continent and academic disciplines, they become part of a wide-ranging network of young Africans of excellence who are expected to play leadership roles in their fields and societies in the years following their time ‘in residence’. Initial nominations are by-and-large processed through recognised South African tertiary institutions. Exceptions are made only for qualified candidates not currently based at a tertiary institution; in these instances applications may be made directly to the Mandela Rhodes Scholarships programme. 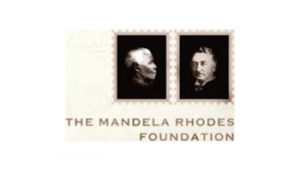 The Mandela Rhodes Foundation undertakes long-listing and short-listing processes in preparation for final interviews. Candidates short-listed to attend the final interview are required to submit an essay on a topic provided. All short-listed candidates are informed shortly after their interviews as to whether they have been successful. Call for nomination is sent to accredited tertiary institutions in the second quarter of each year. This communication outlines what documents are required from applicants, and supplies all the necessary background as well as deadlines attached to the nominations and selection process. Tertiary institutions receive applications from their students and an internal short-listing process takes place. It is strongly recommended that nominees and institutions begin this process and send applications in good time so that they are received timeously. Late applications will not be considered. All applications that meet the requirements are reviewed by the MRF, and a shortlist is developed. Nominating institutions and individual applicants are notified whether they have been shortlisted or not. Shortlisted applicants are required to submit an essay and are invited for an interview. A committee selects a new cohort of Mandela Rhodes Scholars, the maximum number has been determined by the Board of Trustees. The MRF informs institutions and individuals of the outcome of the process. Successful candidates receive letters confirming the offer of a Mandela Rhodes Scholarship, and setting out its terms and conditions which must be studied very carefully and agreed to formally by signature. Students register at their chosen institutions, the leadership workshop begins a few weeks later, and is coupled with mentoring and supplementary workshops during selected institutional holidays. Initial contact is made and maintained with supervisors of students at each institution until the scholar graduates. Please submit the documents strictly in the following order. Incomplete submissions will not be considered and the candidate will not be notified. It is a requirement of the Mandela Rhodes Scholarships that all applicants are citizens of African countries. All applicants must provide a certified copy of their birth certificate, passport or residency certificate attached to the application form. If this is not included the application will be ineligible. To obtain a certified copy, you will need to take the original document and a photocopy to someone who is authorised to make a certified copy. Please provide a transcript of your confirmed academic qualifications (these are modules or qualifications that you have completed and have had conferred), or certified copies of your degree. Please provide a summary list of any awards, prizes, fellowships or scholarships that you have received and/or are still receiving. This information is viewed as part of your academic curriculum vitae. You should also note that the Mandela Rhodes Scholarship holders may not hold concurrently any other scholarships, which provide the student with stipend. These will be sent to shortlisted candidates. Please list your recent employment history if you have been employed. Include contract work and permanent work. Please list leadership positions held, if any. Please include a letter endorsing your application from the Dean of Students or equivalent at your institution of higher learning. Please give the letter of recommendation form to your referees. Kindly ask them to fax the reference to us. Our selectors request you send us a photograph of yourself. We require a high resolution, colour, head and shoulders image of yourself. We will print this out to accompany your application forms that we receive. I would like to take this opportunity of thanking all of you around the world who are assisting in the great project of building The Mandela Rhodes Foundation. The central purpose of The Mandela Rhodes Foundation is to build exceptional leadership capacity in Africa. The bringing together of these two names represents a symbolic moment in the closing of the historic circle; drawing together the legacies of reconciliation and leadership and those of entrepreneurship and education. Already the Mandela Rhodes Scholarships are changing the lives of young Africans, who will play vital roles in the future of the continent. The achievements of The Mandela Rhodes Foundation so far have been remarkable, but it is its future potential that is most exciting. I urge you to help in every way you can, knowing that you have my personal appreciation.